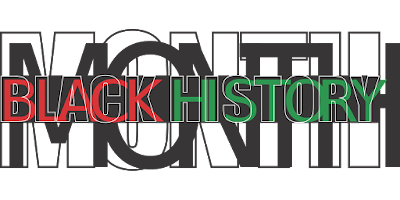 October in the UK is nominated Black History Month [BHM]. I remember when I was a teacher this fact always grieved me. The achievement of black people in history should be an on-going thing and not only allocated a single month in the year. Children should be more aware of the achievements of people of colour than being able to rattle off names like Mary Seacole or Nelson Mandela come end October. And we adults shouldn’t have to refer to lists such as 10 Black Authors Everyone Should Read. In my own field, I confess my knowledge of black authors is restricted to Americans such as Maya Angelou and Toni Morrison. I’ve only read a smattering of other poets and authors: Chimamanda Ngozi Adichie, John Agard, Imtiaz Dharker, Malorie Blackman. As an author of colour this shames me. In an attempt to wash away some of my shame I’m going to do a little bit for BHM with this feature on a well-known writer born in 1802.Although he’s French, I’m certain many of you have come across his work. I live in North London with husband Jim and son Paul. I was born in Scotland and moved south in late 1960s to live in Essex, then Suffolk where my nearing completion novel, All the Bright Days, is set. I've had many jobs (all grist to a writer's mill) including one in a cosmetics factory (features in above novel) but for several years have worked as a medical secretary combined with intermittent freelance writing for magazines and newspapers. Some years ago I made a conscious decision to drop factual writing for fiction and found the creative writing courses I did with the WEA (tutor Stewart Permutt) and with Caroline Natzler extremely helpful in setting me off on the fiction writing path. So I’m talking social media again because it’s become a regular thing for me. I now maintain my author page on Facebook on an almost daily basis and I’m getting a lot more confident about tweeting since the new phone came into my life. Have even figured out how to add pictures. But now I’ve got another site taking up my time and attention. I mentioned I was researching social media sites to my friend and ex lodger, Olivia and she thought Pinterest would be perfect for me because I’m so attracted to unusual or striking images.